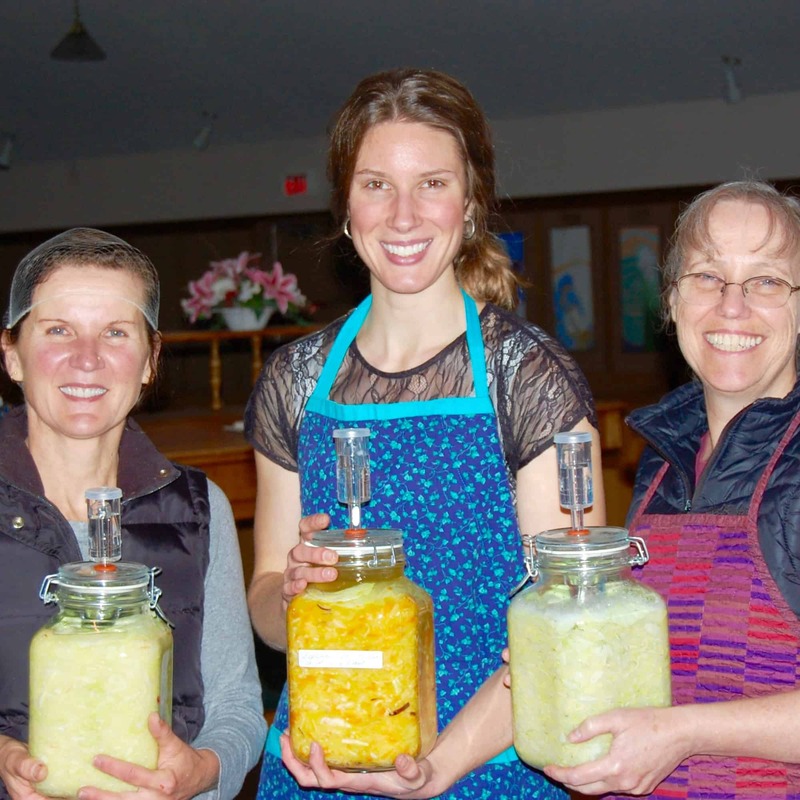 Live, fermented foods are essential for good health. Every thriving population in the past consumed fermented food, including fermented grains, vegetables, fruit, dairy, legumes, and meat. 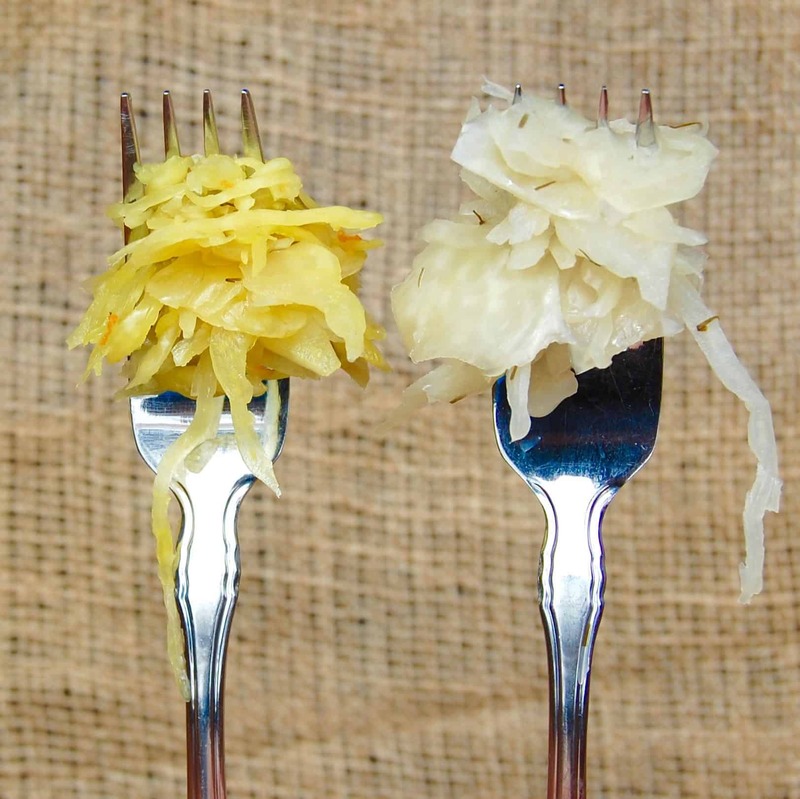 These populations didn't have science to explain why fermented foods kept them healthy. 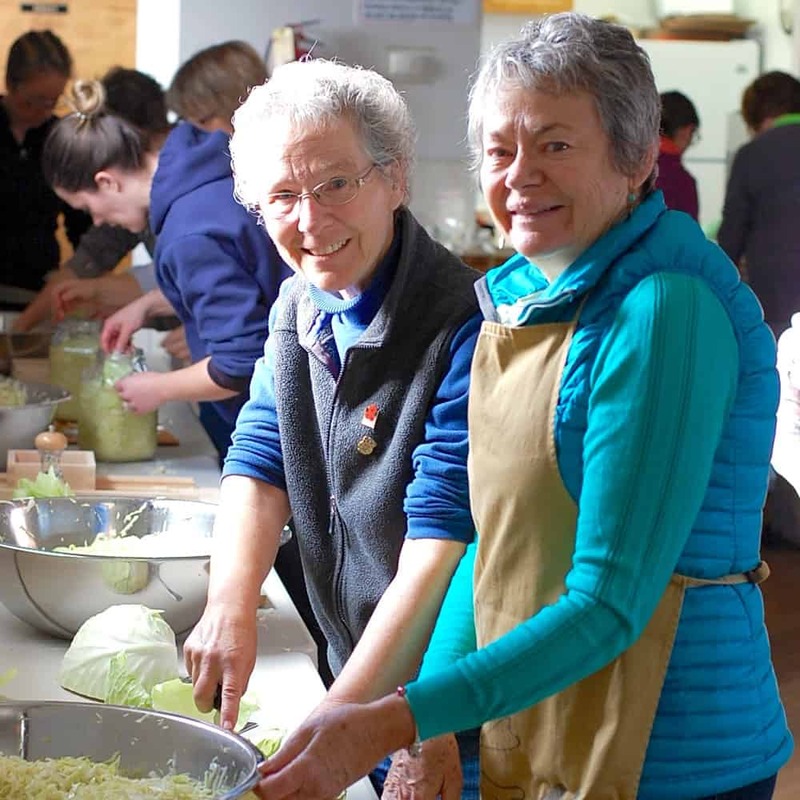 They only knew fermented foods without mould were essential for feeling good. While microbes in fermented foods don’t have probiotics designation, these microscopic organisms are health-promoting. Microbes interact with immune cells in the gastrointestinal tract to strengthen immunity. 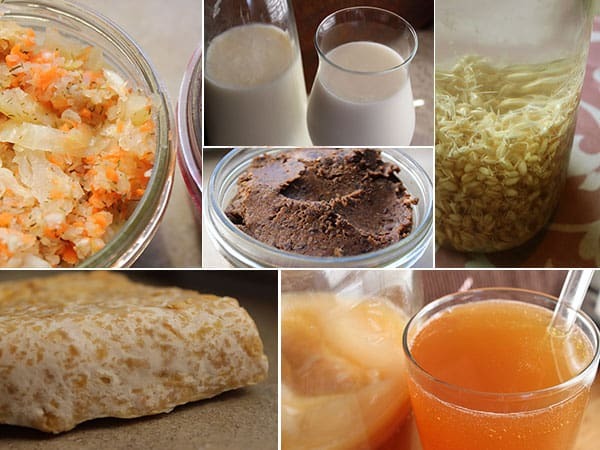 A healthy dose of microbes from a variety of fermented foods also enhances gut barrier to reduce permeability of foreign compounds across the intestinal wall. 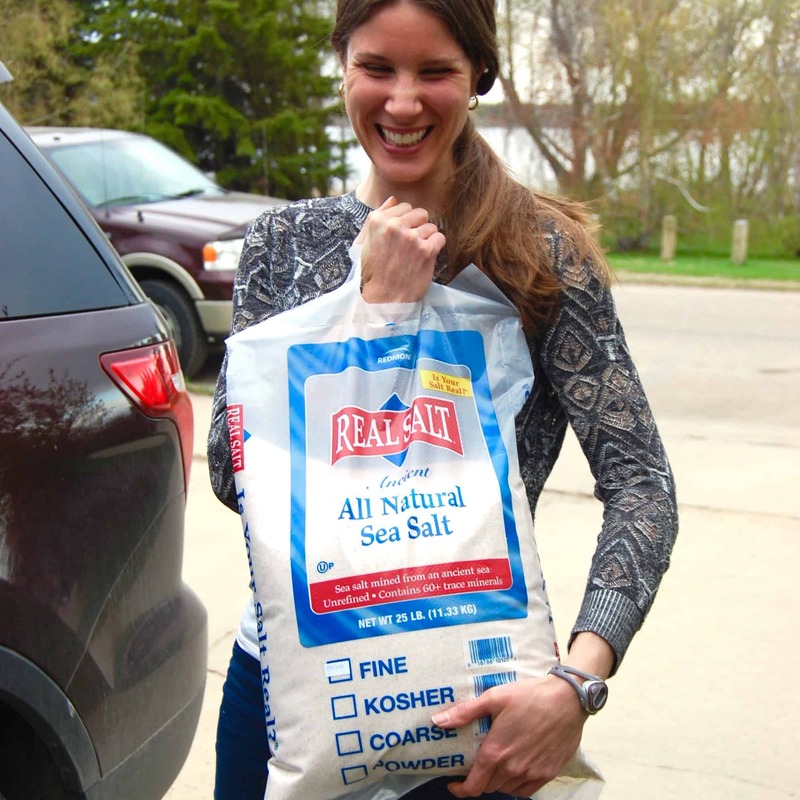 This means greater protection from harmful bacteria and viruses, and overall better health. Raw food before it’s fermented contains a wonderful array of nutrients. 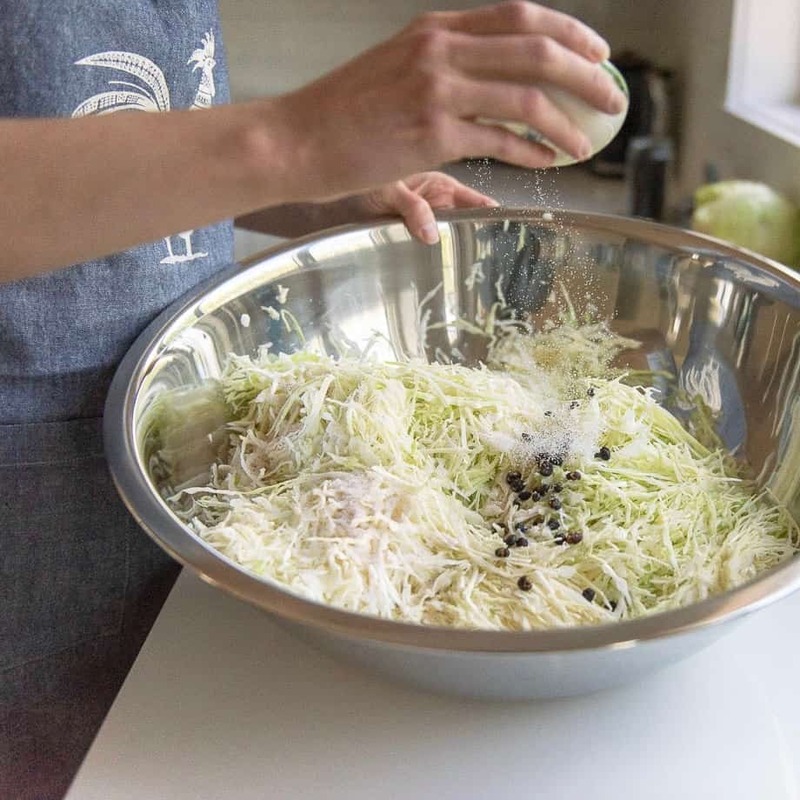 Even better, fermenting microbes create new nutrients that were not present in food prior to fermenting – a dietitian’s dream food! Lactic acid bacteria, for example, produce vitamin B1, B2, B3, B9, and K2 as vegetables ferment. Raw foods contain various anti-nutrients that bind to minerals. This reduces the amount of nutrients from food that are available for absorption. Iron, copper, zinc, and magnesium are common minerals that are affected by anti-nutrients. Fermentation of grains, vegetables, and legumes substantially enhances nutrient bioavailability. Nutrients are essential for health, without which disease from deficiencies develop. Bioactive compounds are not essential for health, though these compounds ward off disease, reduce inflammation, reduce degeneration and aging. Obesity, type 2 diabetes, cardiovascular disease, and cancer share a common etiology (disease cause) – oxidative stress, inflammation, and changes in metabolism. 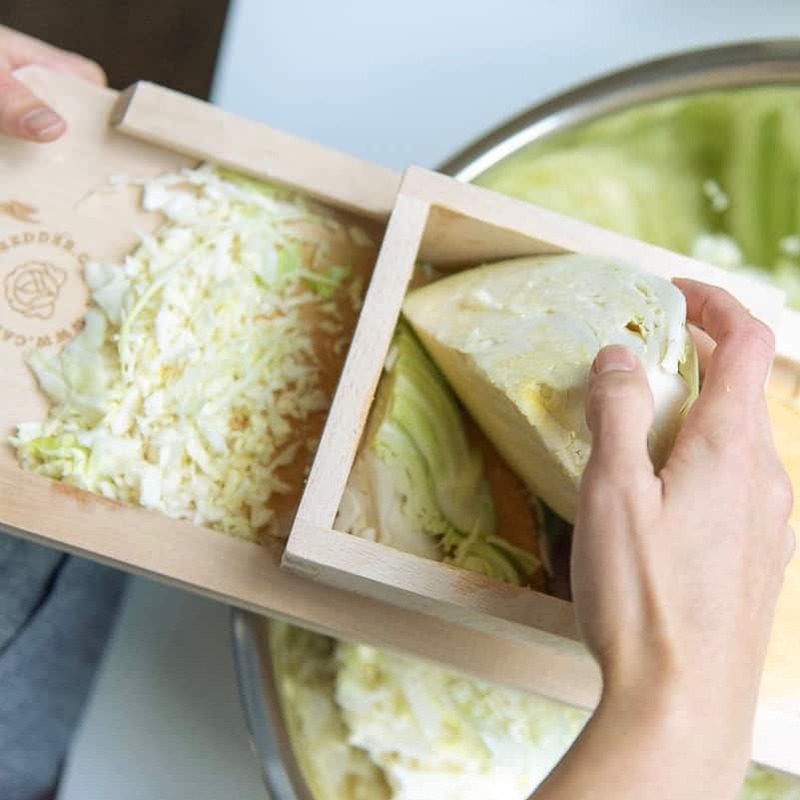 Fermented foods are rich in bioactive compounds, and are helpful in preventing chronic disease by reducing oxidative stress and inflammation and restoring normal metabolism. 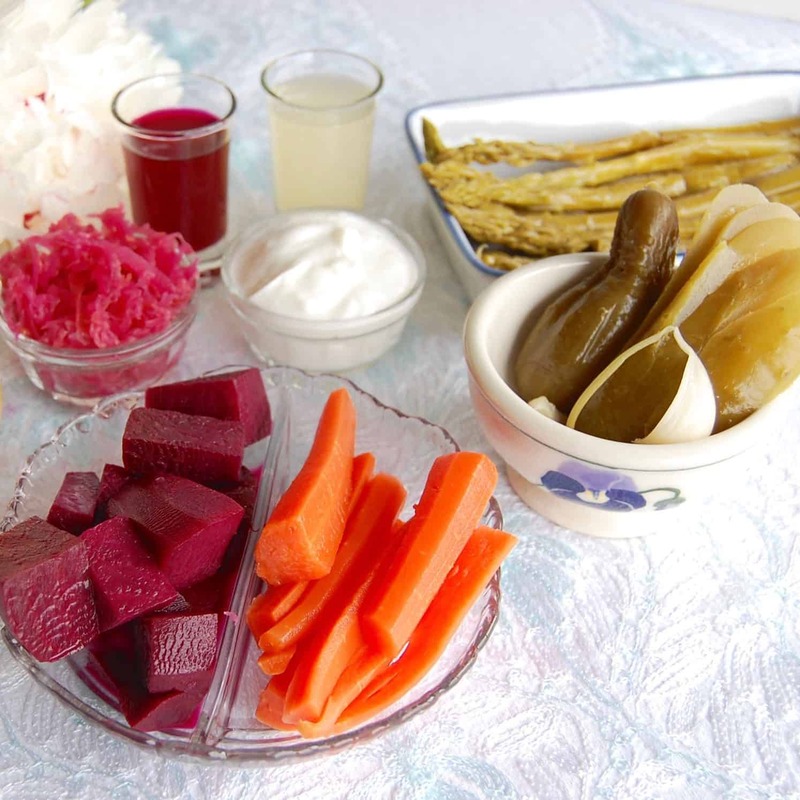 Fermented vegetables are safer than eating vegetables raw. 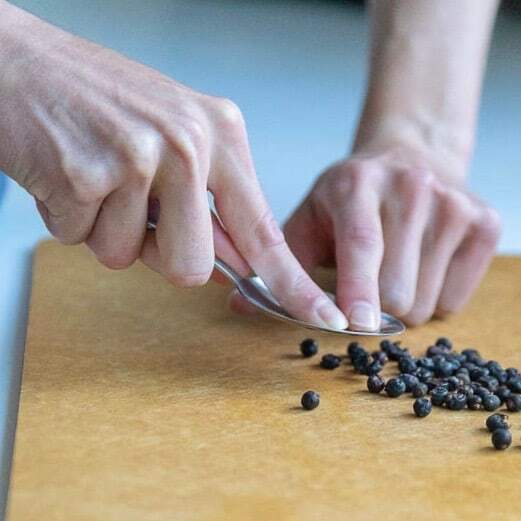 When done properly, observing the four hurdles to spoilage bacteria, fermentation extends shelf-life well past harvest without mounting food safety concerns. Populations with poor water safety rely on fermentation to enhance food safety, especially for foods served to babies and children or other people with weak immunity. Let's take our lead from past generations. 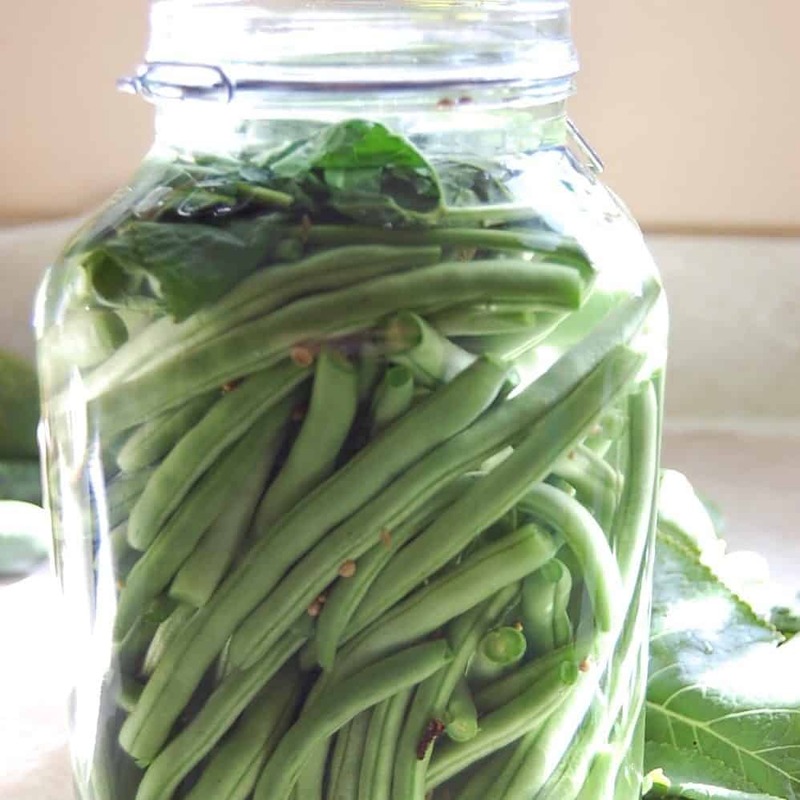 "I want to ferment, BUT..."
I don't know how to ferment anything. My grandparents and parents didn't teach me. I don't have time. 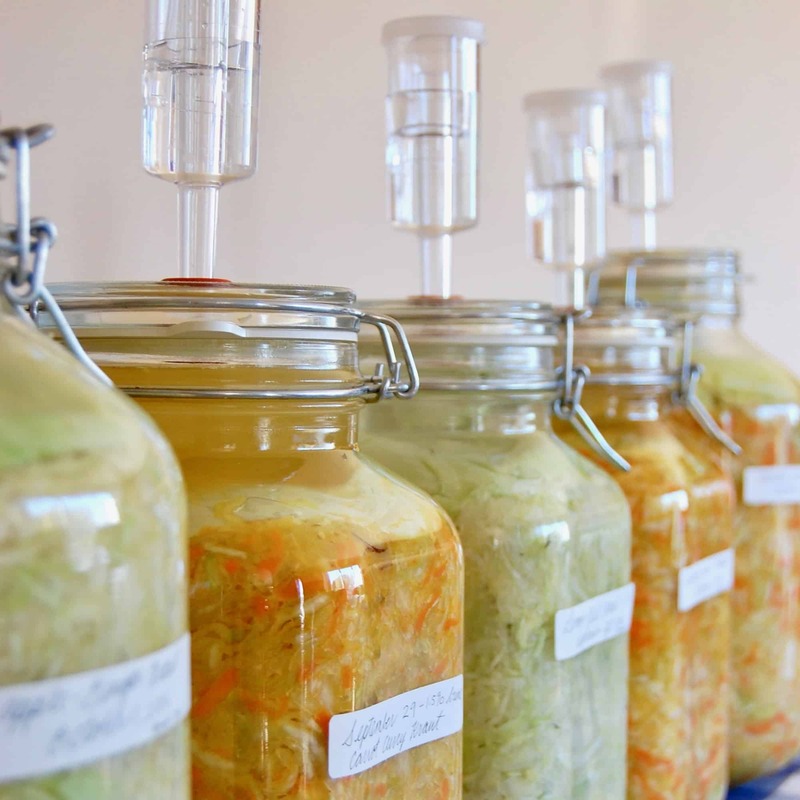 It's easier to buy fermented food from the grocery store. It's still healthy, right? I don't feel confident; fermentation is intimidating. I don't feel good on fermented food I buy from the store. I don't have a crock, and it's expensive to purchase. I've tried fermenting but my success is inconsistent. Some batches spoil. I've tried my grandmother's sauerkraut, and I don't like the taste or the smell. I don't want to skim mould or yeast. I can never skim it all off anyways. 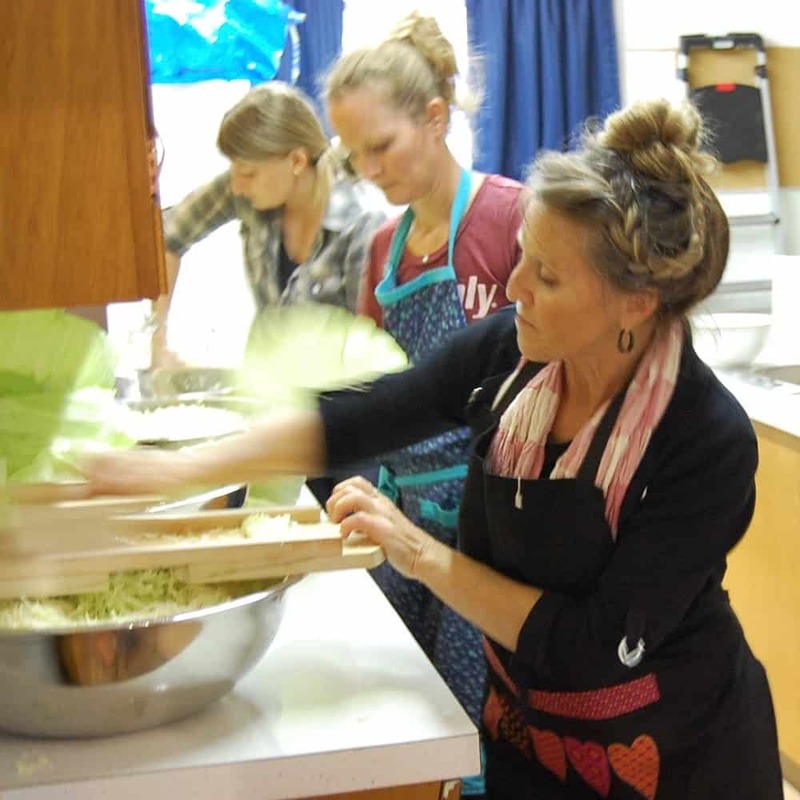 You can confidently and safely make fermented foods today that are functional and flavourful. 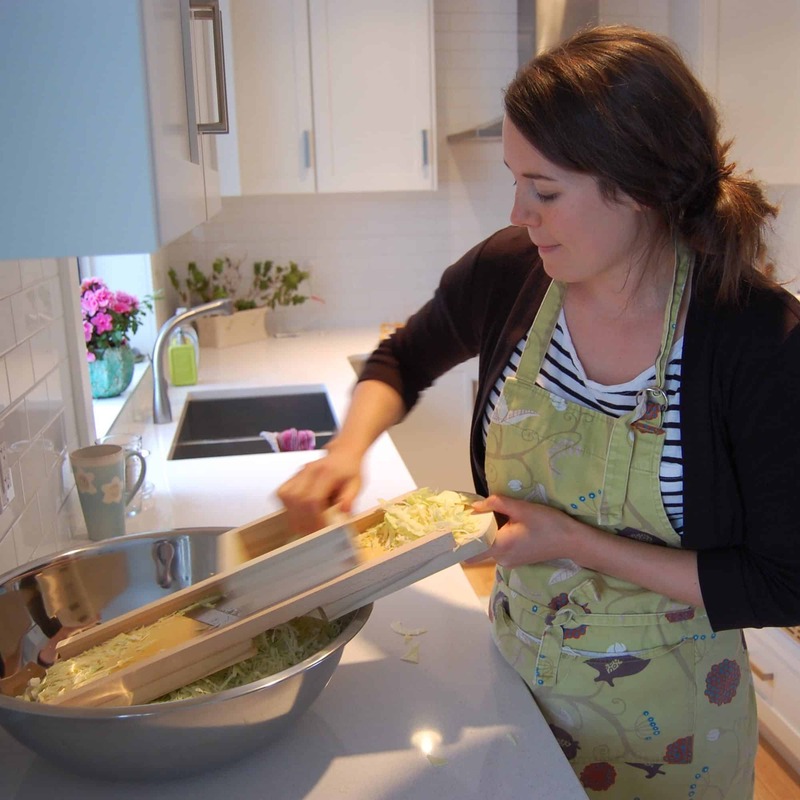 Learn mould-free fermentation using the Airlock Fermenter in an on-line course. 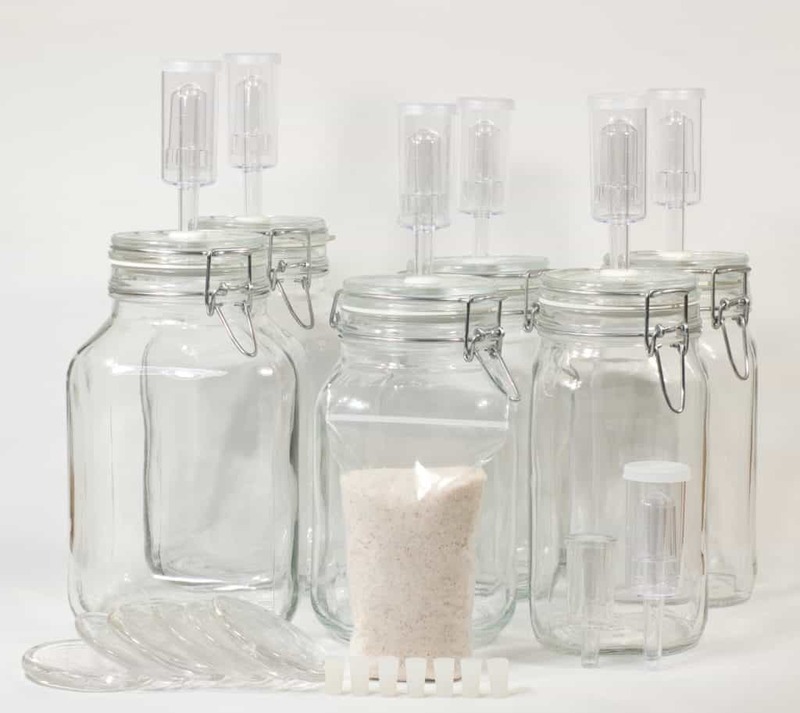 Learn what Sarah teaches in her in-person workshops, using airlock-adapted bail and clamp jars to completely restrict oxygen. No oxygen equals no mould! 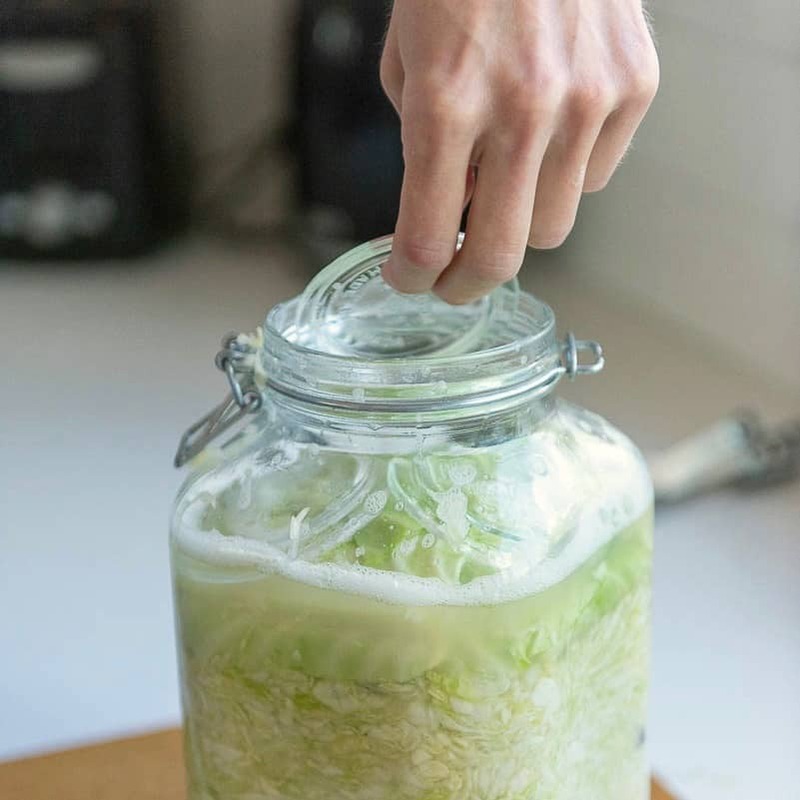 Replay the video as many times as needed in the comfort of your home until the why's and how's of vegetable fermentation sink in and you fill your jars. Past attendees of the in-person workshop wish they could replay the presentation. Well, here's a video to serve that purpose. 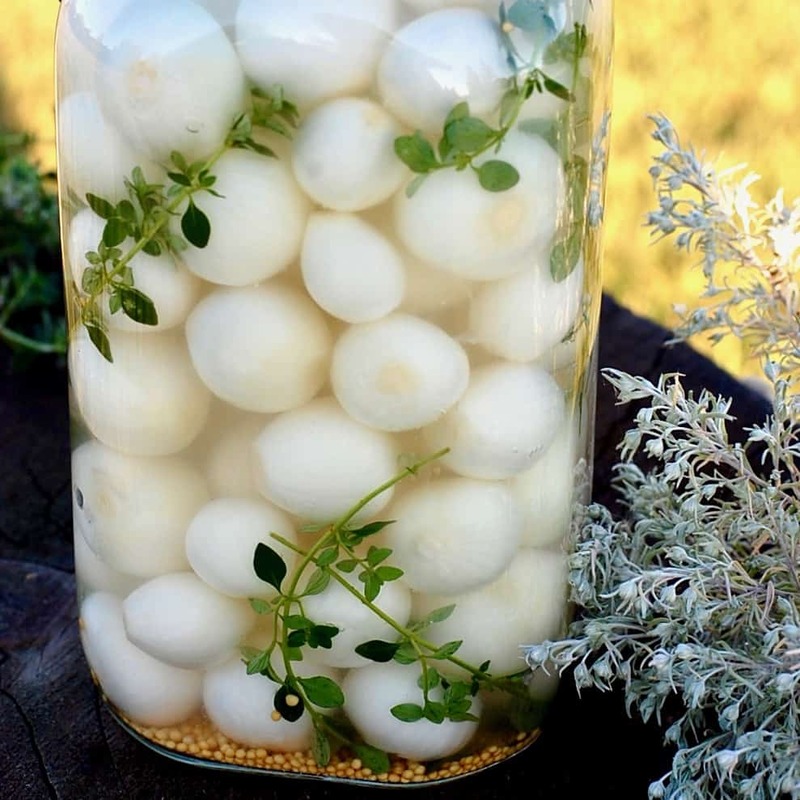 "Introduction to Vegetable Fermentation," mailed right to your door. 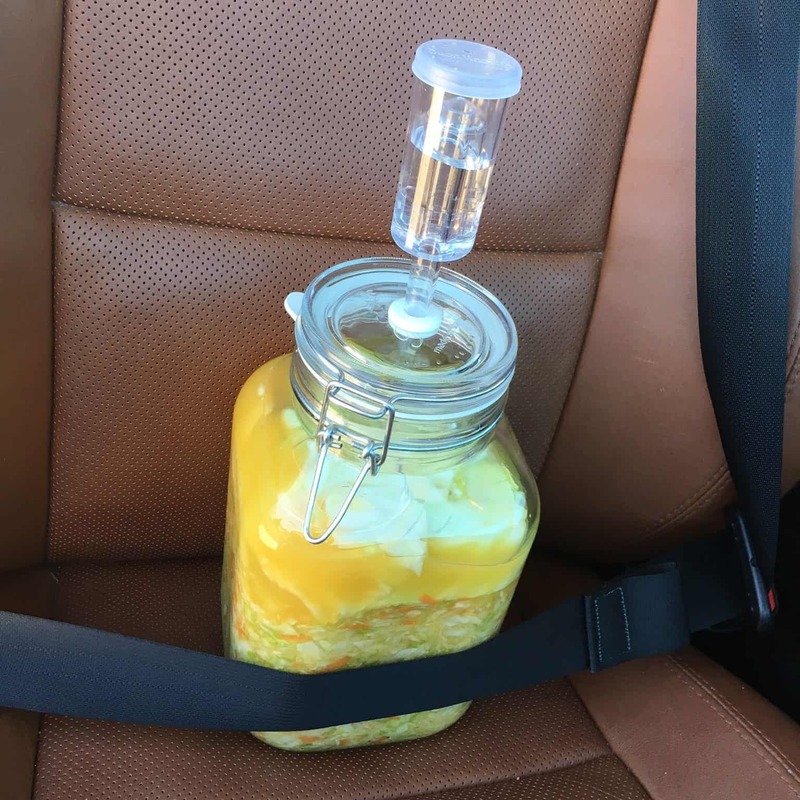 Learn how to make fermented drinks, sauerkraut, and brine-pickled (fermented) vegetables with Airlock Fermenter jars using two basic techniques. Enjoy access for 18 months. This printed reference is your go-to guide to support the video. It gives much more information and explanation than what’s presented in the video – perfect for those who love science. 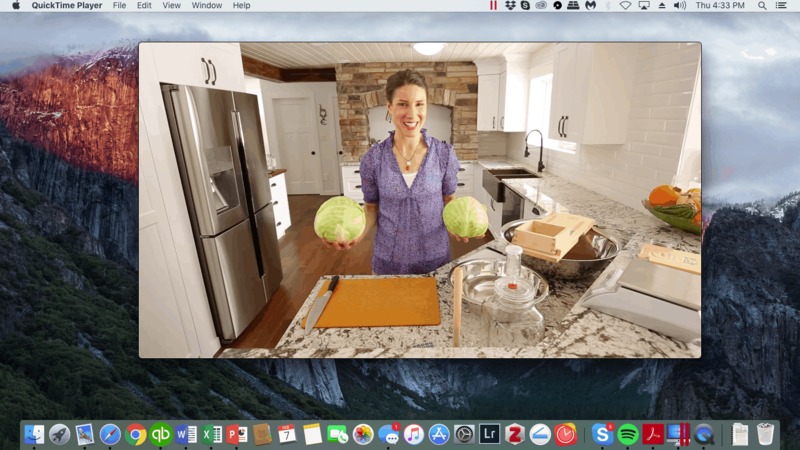 It also has the recipes shown in the video with step-by-step photos. Retails for $17 + GST. You’ve watched the video and made the demo recipes. Now what? 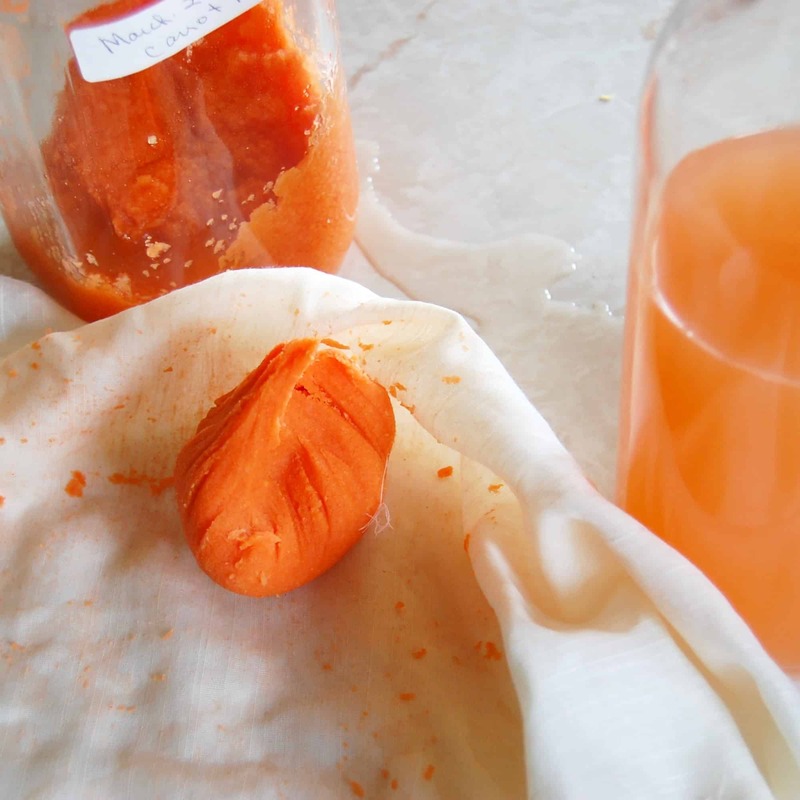 Additional recipes for fermenting vegetables and reminder tips will be sent to your inbox over the following weeks to keep your ferments going. 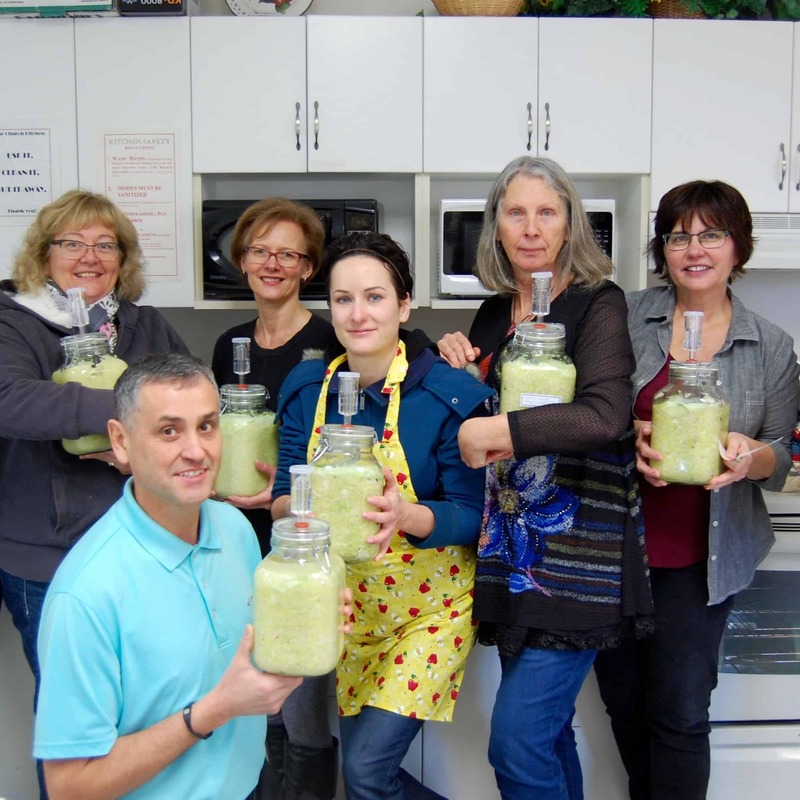 This course teaches fermentation using the Airlock Fermenter, an airlock adapted Fido jar. 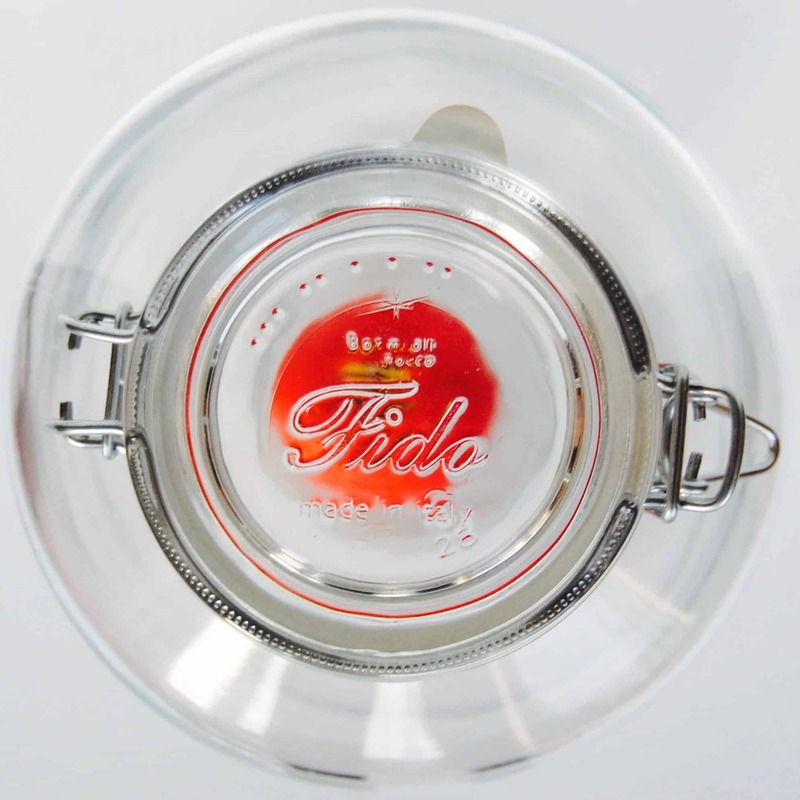 Application of the course teaching is most beneficial for people using an Airlock Fermenter or similar airlock fermentation jar. Purchase the course and receive a $10 coupon towards your Airlock Fermenter purchase. Look for the coupon code in the email following your course purchase.